Whether you shop at Asda, Iceland, Morrisons, Ocado, Tesco or Waitrose, we reveal how to find the cheapest supermarket delivery deals, including the price of monthly passes. If you regularly do your grocery shopping online, it's vital you track down the cheapest supermarket delivery deals or you'll end up wasting a load of cash. Thankfully, it's pretty straightforward: our guide explains how to do just that and covers all the main supermarkets, including Tesco, Sainsbury's, Ocado and Iceland. But before you scroll to your favourite, why not bookmark our weekly roundup of the best supermarket deals, which is updated every Friday? Regular Asda shopper? Grocery Delivery Passes entitle you to free delivery anytime for specified periods. The Anytime Delivery Pass is available for 12 months (£5 a month for 12 months or a £55 one-off payment) and six months (£35, though you can do six £6 monthly instalments if you don't mind paying a bit more). There's also a mid-week 12-month pass which you can use for Tuesday, Wednesday and Thursday deliveries, which will set you back £24. 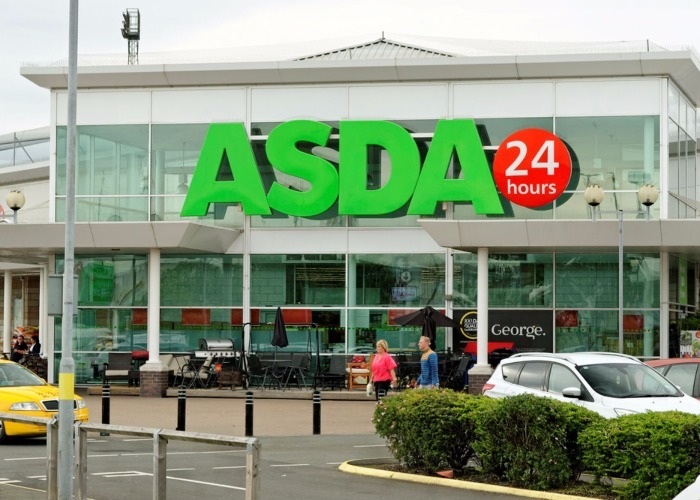 If your Delivery Pass doesn't save you more than you would have spent on standard delivery charges, Asda will give you an eVoucher for the difference. Make sure you save on your next shop with these top tips. And finally, don't forget you can earn up to 2% cashback on every shop with this credit card. An Iceland Bonus Card will give you access to exclusive offers. Once you've registered your card, you can load money onto it and Iceland will top up every £20 with £1, effectively a boost of up to 5%. Iceland will also provide free delivery on spends over £20 to Bonus Cardholders – but only when you pay in store. Regular Morrisons shopper? A Delivery Pass will entitle you to free delivery anytime for specified periods. The anytime pass is available for a month (£8), for six months (£40) or annually (£65). There's also a mid-week pass which you can use for Tuesday, Wednesday and Thursday deliveries. Monthly (£5), six-month (£20) and annual (£35) passes are available. If your Delivery Pass ends up costing more than standard delivery charges, Morrisons say they will give you a refund. Also get a Morrisons More Card to earn points which you can redeem on Morrisons’ products. Make sure you save on your next Morrison shop with these top tips. Regular Ocado Shopper? Buy a Smart Pass, which entitles you to free delivery anytime for specified periods and reduces the cost of delivery and lets you save at least 10% on big brand items. The anytime pass is available for a month (£10.99), six months (£49.99) or annually (£109.99). There's also a mid-week pass which you can use for Tuesday, Wednesday and Thursday deliveries. Monthly (£6.99), six-month (£34.99) and annual (£59.99) passes are available. Delivery charges apply as normal during Christmas week, although Smart Pass holders get priority. Before you sign up, remember to check whether Ocado actually delivers to your area. Regular Sainsbury’s shopper? You've got a choice between two delivery passes, but you’ll need to spend at least £40 per shop. The Midweek Delivery Pass covers deliveries on Tuesday, Wednesday and Thursday, and is available for three months (£10), six months (£18) and 12 months (£30). The Anytime Delivery Pass covers deliveries any day of the week, and costs £20 for three months, £35 for six months and £60 for 12 months. Get a Nectar card to earn points which can be redeemed at Sainsbury’s, as well as 500 other brands. Heading off to Sainsbury's? Save with our top shopping tips, and don't forget you can rack up Nectar points whenever you shop with this credit card. Regular Tesco shopper? Try the Delivery Saver scheme, where you pay £7.99 for one month or £6.99 a month for six months. Midweek plans that get you free delivery Tuesday to Thursday at £3.99 for one month or £3.49 for six months. If you're unsure, you can get a month's trial free. There's a limit of one delivery per day with a minimum order of £40. Don’t forget Tesco’s Clubcard scheme, where you earn points that can be turned into vouchers for shopping or days out. Save on your next Tesco shop with our top frugal tips. Also, don't forget you can boost your credit score and earn Clubcard points when you shop with this credit card. Regular Waitrose shopper? Join MyWaitrose for free; it provides a number of offers. Unfortunately, almost all are only available in store. Make sure you save on your next Waitrose shop with our top frugal tips. Want more? You can bag a £10 voucher and earn points every time you shop at Waitrose with this credit card. 1. Sign up for emails with all of the supermarket websites, even if you don't intend to shop with them straight away. Like all retailers, supermarkets often send out discount codes (such as 15% off your shopping) to entice us to shop with them which will usually more than cover the delivery charge. 2. Switch around. Never use the same delivery service twice in a row. Supermarkets tend to ignore loyal customers and send their best deals to those who haven't used their service for a while – make them stew and watch the offers roll in! 3. Complain, complain, complain. If there is anything at all wrong with your shopping (late delivery, damaged fruit or vegetables, items too close to their sell-by date, dented tins) don't just accept it, phone up and tell them. Most customer service managers are keen that you enjoy the service and will often replace or simply refund your money, straight away. What's more, depending on the problem many will issue credit notes too, giving money off your next delivery (which will cover that delivery fee!). 4. Check prices. Depending on what you buy you could still end up spending more with Ocado, for example, than Asda, even if your delivery costs nothing. To get around this problem, try shopping through MySupermarket to compare how much your trolley would cost with a number of supermarkets. A number of supermarkets offer Click & Collect services, where you order in advance and simply have to pick up the shopping, which is already bagged up and ready for you. Every week loveMONEY lists the best supermarket deals: read about this week's deals.